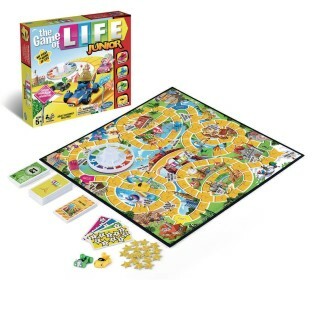 The Game of Life - Junior style! 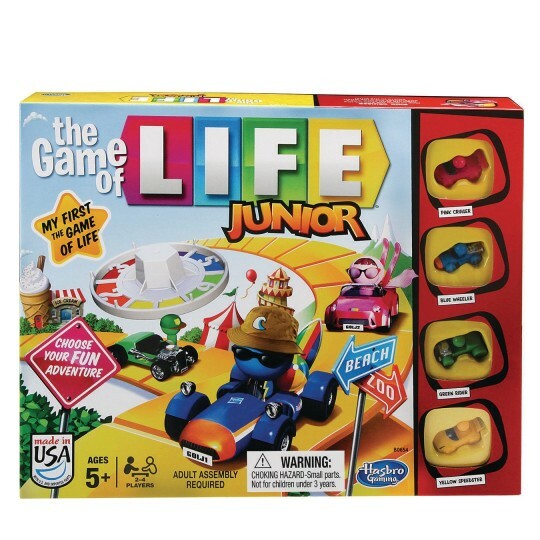 Choose your fun adventure with The Game of Life - Junior style! 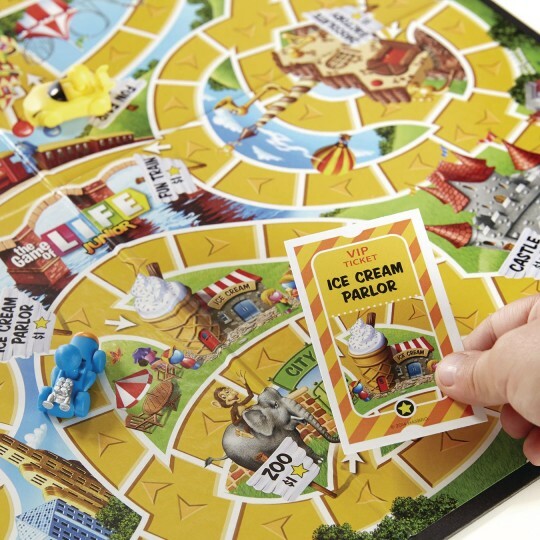 This fun and fast-paced game is just like the adult version, but with much cooler rides! Pick the Blue Wheeler, the Pink Cruiser, the Yellow Speedster or the Green Rider, and start enjoying life's twists and turns! Have tons of fun with amazing adventures on the beach or at the zoo – it's your choice! If you get to 10 stars first, you win! You'll have the time of your "Life" whenever you play The Game of Life Junior game! For 2 to 4 players, ages 5 and up.